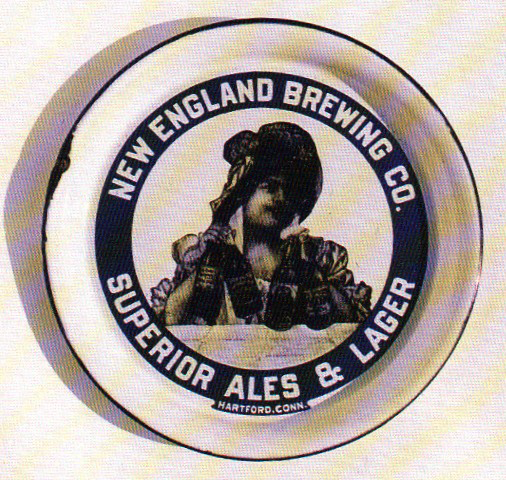 This is a round New England Brewing Co. porcelain sign. This particular New England Brewing Co. sign is predominantly blue and white. It reads, “New England Brewing Co., Superior Ales & Lager, Hartford, Conn.” and features a young woman holding several bottles of beer in the center.